A great deal of thought goes into the creation of a fine piece of jewelry. 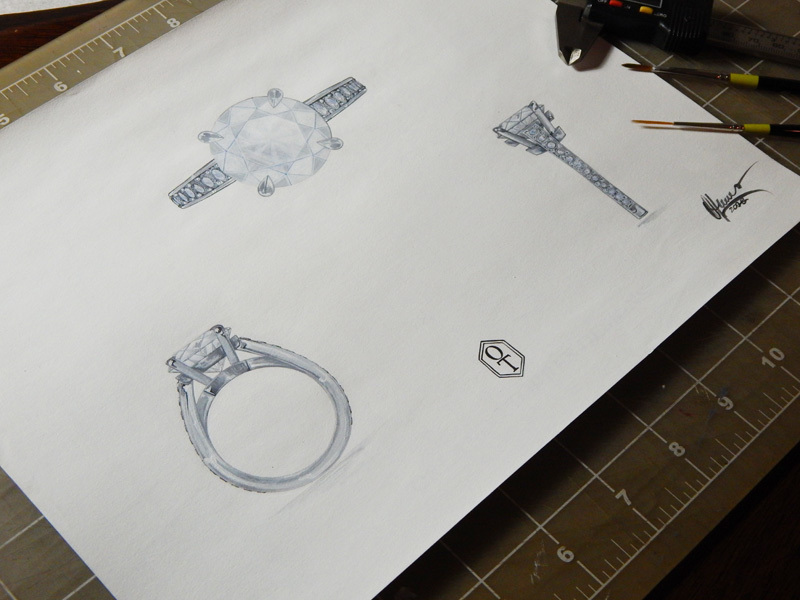 Hand painted illustrations offer an opportunity to analyze the design as well as providing the master jeweler with the specific details required to effectively create a finish model. In this particular design the focus was entirely on the center stone. A four prong setting nestles the center diamond high off the finger, allowing the maximum amount of light to pass through the facets and the under gallery of the setting, creating a radiant display of colors that illuminate the perfectly cut diamond. A single row of round brilliants pave’ set with a two bead pattern embellish the shoulders of the ring.